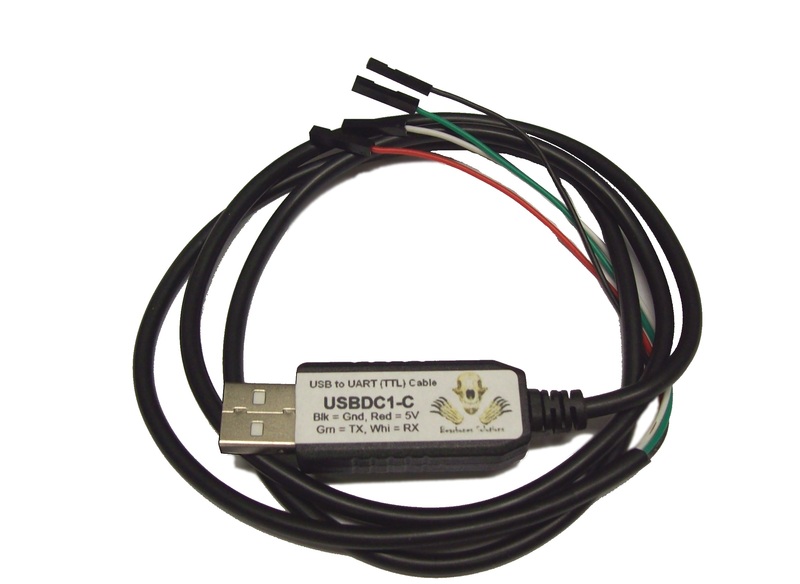 The USBDC1-C is a USB to TTL UART converter is one of the simplest and most reliable cables on the market. Utilizing a Prolific PL2303HX USB to TTL IC, the cable creates a direct connection from the UART of a microcontroller to a PC through a USB port with no additional components. This cable can be used on any microcontroller based system with an available UART such as Atmel AVR, MSP 430, Arduino, etc. The USB connector has a clean, professional look giving your project an edge over bare board models and protecting the circuitry and your computer from accidental shorts. The shell can be easy popped apart and there is access to 5V, Gnd, Tx, Rx, CTS, DTR pins inside. If you are having problems installing the drivers and you get an Error code 10 or if your USB cable suddenly stops working, the problem is Windows is automatically updating the driver with a version that is incompatible with the USB cable. Follow the below guide to disable Windows from searching for new drivers every time a device is plugged in. 1. Go to Start, type change device installation settings in the Start Search box and then press ENTER. 2. In the Device Installation Settings window, select No, let’s me choose what to do. 3. Select Never install driver software from Windows Update. 5. Next remove the wrong driver Windows installed and reinstall the driver provided with the unit or from the drivers listed above. 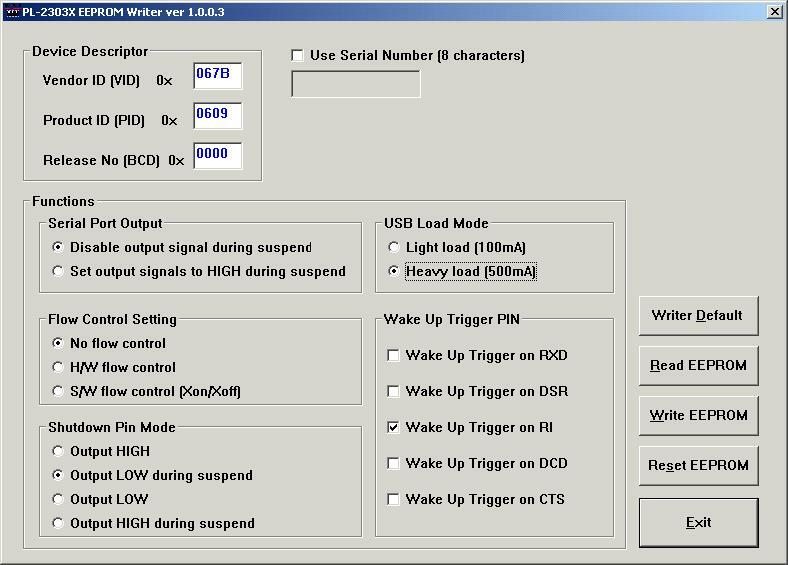 Use this tool to reprogram the EEPROM of the PL2303 which is the chipset inside the USB Data cable.